You've heard us talk for nearly 800 hours. What's a few more? 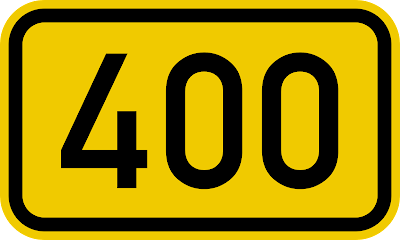 After seven years of podcasting, we are approaching episode 400. It's a milestone we want to celebrate, so we'll be doing a LIVE episode beginning at 5 p.m. CST on Sunday, August 13. You can visit our YouTube page to listen; we'll also try to have a stream posted on our own fthismovie.net home page. What will the show be? Well, we'll be leaving that up to you all. We're asking you to submit suggestions for "Top 4" list themes (you can email them to fthismoviepodcast[at]gmail.com or tweet them to us at @fthismovie). We'll choose some of our favorites and then talk about them on the show! Plus we'll have more surprises in store. Don't miss out! If you'd like to record a message, a song, or anything to possibly be played on the live show (which will then be made available as our regular podcast on 8/16), send all audio files to our email address. Note: there will not be a podcast this Wednesday. We're so excited for this and hope you can all join us for what promises to be a really fun show! Nice!!!! 400 Episodes and Runnin'! Here's to at least 600 more! Congratulations, everyone! I eagerly await this momentous occasion, and will wrack my brain for top 4 ideas in the meantime. I just listened to the 100th episode podcast today! How do you expect me to catch up on almost 300 podcasts by Sunday?! But seriously, very much looking forward to this. Congrats guys! Sounds like an awesome show, can't wait to hear it! Hopefully they'll be able to record and post it on their Youtube channel, like they did for the Fthismovie Fest show. I want to hear Adam sing Nights In White Satin. Donate $100 to the Magnolia Tree Foundation (show proof) and I will make that happen.